Ever watch people eat bugs and creepy crawlies on Fear Factor? It's about time for you to try it. They are tasty and delicious, pack a nice crunch and are great for kids parties. 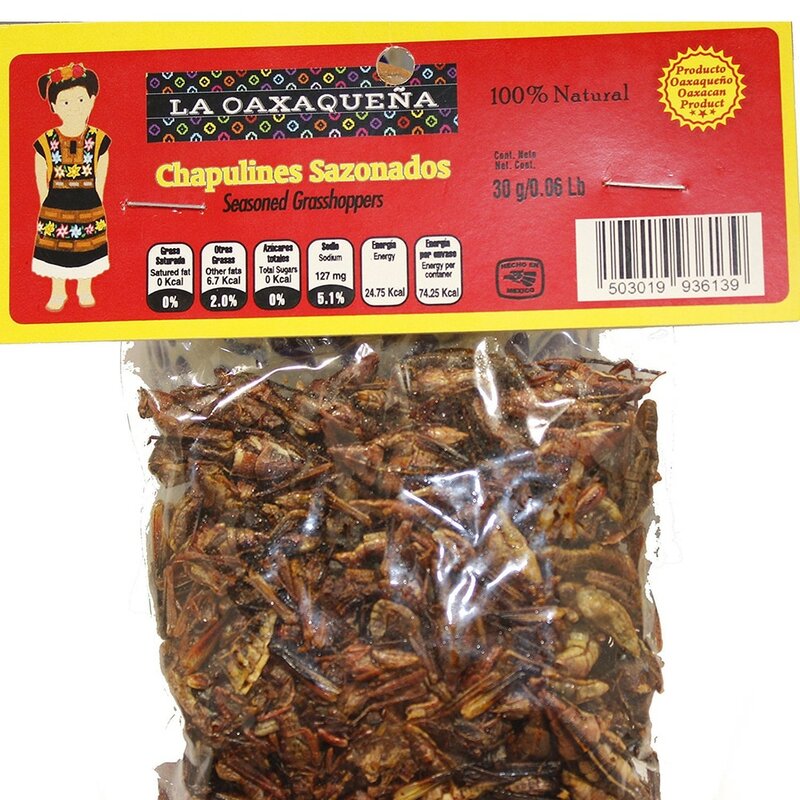 Each package contains 30 grams of grasshoppers seasoned with salt & lime.